10-Jul-2018: The web pages are coming from inside the house! Static IP + Mac mini + UPS + minimal apache2 skillz = direct control over our sites. Long live vi index.html. 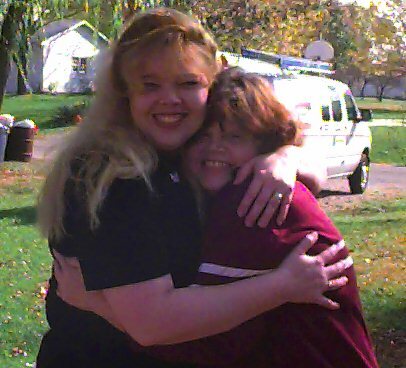 3-Dec-2006: I have a blog. 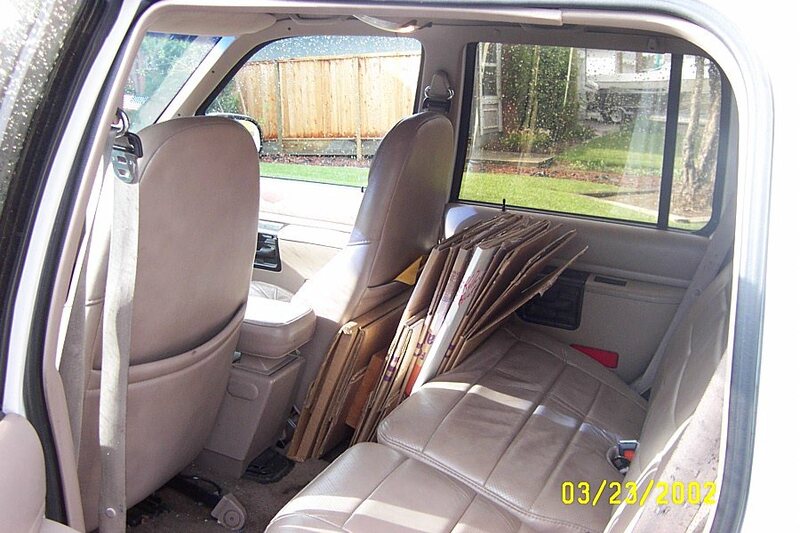 See pictures of my power tools there. 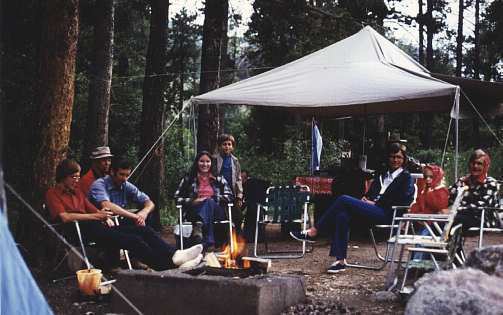 19-Mar-2005: I hope the new canopy in the back yard, shading my hammock, proves more durable than the last one. 7-Nov-2004: Shipped Measure 1.0 for Mac OS X. 18-Feb-2003: I have an easy-to-update Wiki now, including various pages such as Stories About Dave. 29-Jan-2003: Building a Craft Table. 23-Mar-2002: Corrugated bracing; Garage shelves detail. 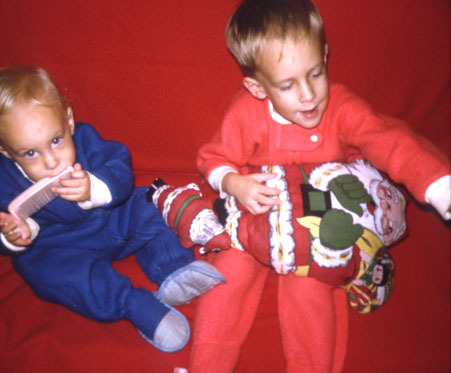 2-Feb-2002: Added amazon.com wish lists & more friends. 23-Jul-2001: Notes from old BayCHI meetings & AI seminars. 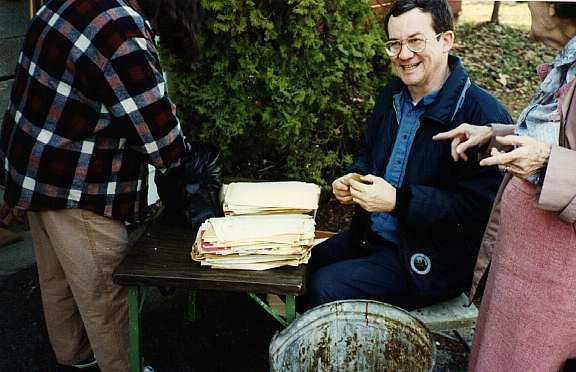 28-Apr-2001: I own 3 cubic yards of gravel. 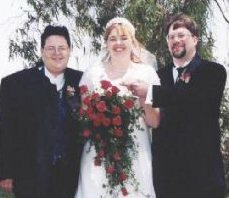 I married Sarah Lyons on May 22, 1999, and we moved into a house in San Jose the first week of July the same year. Since 1989 I've worked for Apple Computer, Inc. From 1989 to 1999 I lived in Cupertino, California. 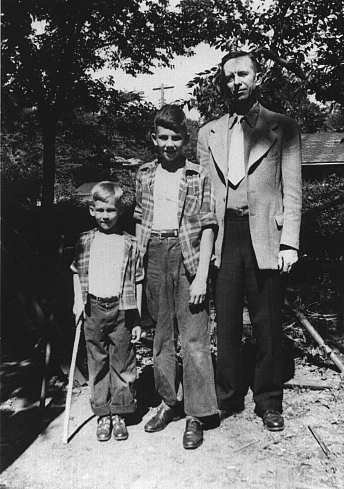 Before that, I lived in North Liberty, Iowa, went to Penn Elementary, Northwest Junior High, and West High, all in the Iowa City Community School District (ICCSD), and attended the University of Iowa in Iowa City. I graduated in December 1988 from the computer science department. You can read a description of my personality type. I've shipped Measure. Read the Press release. Working on Finder for Mac OS X. 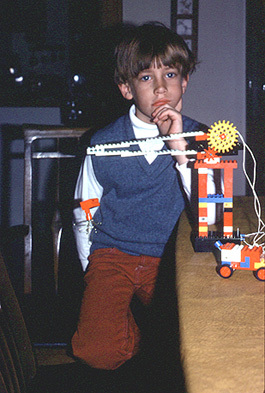 From an early age, I liked to operate machinery. 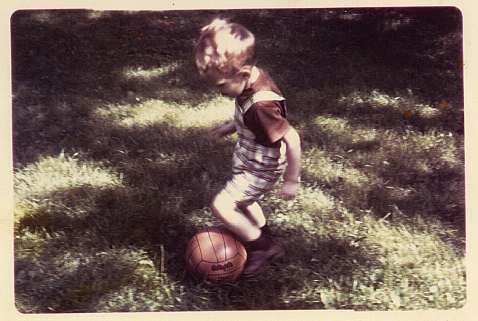 Kicking a ball at age 3 in Webster Groves (near St. Louis). I built a Lego crane. 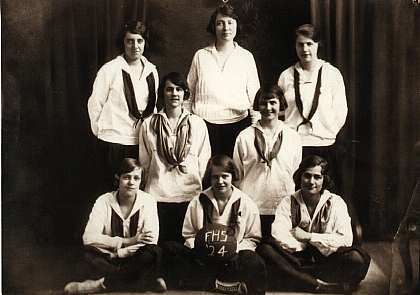 Don't know what year this was. 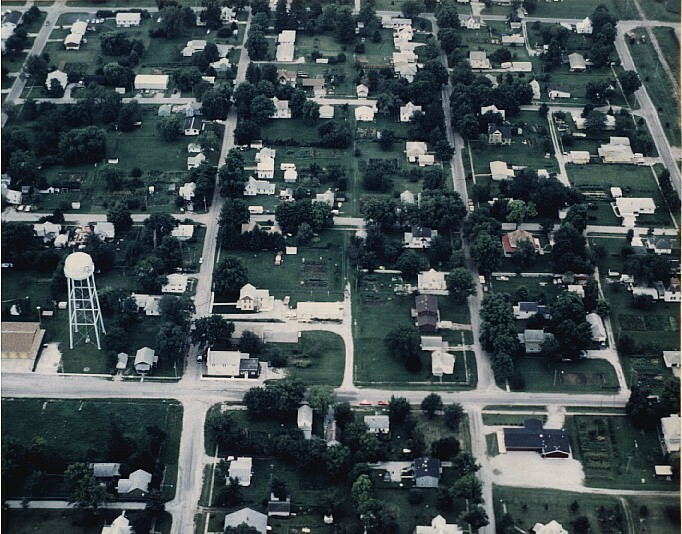 You can see North Liberty from the air. Dad took this picture from a small plane we were riding in, out of Greencastle Airport. You can see the house (just right of center, surrounded by many trees). 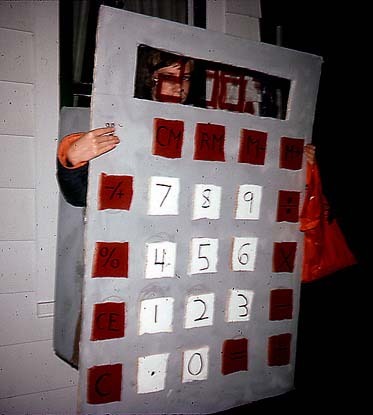 I think it was 5th grade when I made a calculator costume for Halloween. My very short 6th grade story Shoelaces, won me the right to spend my Saturday morning in the public library, along with the several other student winners, autographing copies of our stories for our eager public. 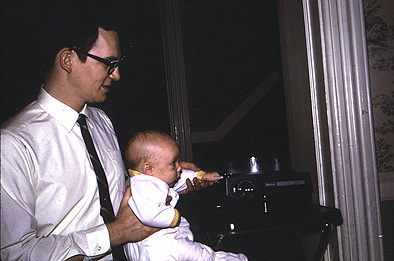 For a long time I had a chemistry lab in the basement (and I only injured myself once). 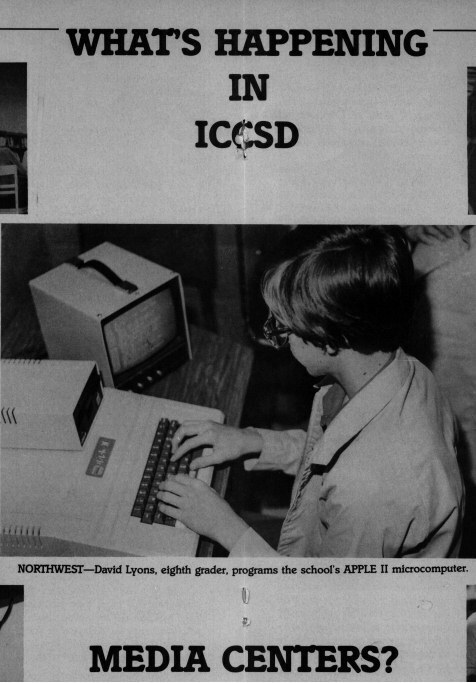 In 8th grade, I was the centerfold of the ICCSD Newsletter: An Information Publication for Residents of Iowa City Community School District (Volume 3, Number 2; December 1980). ...and here's what it really looks like (but from a different angle). 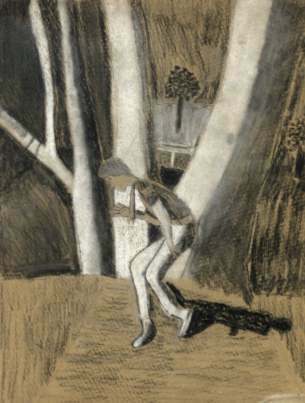 In the same art class, I did this charcoal drawing of a Boy Scout creeping through the woods (it was modeled after a photograph). 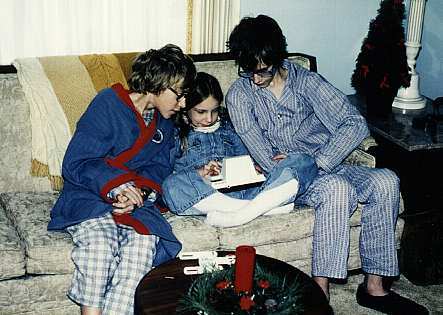 Brother Tim wrote A Day in the Life of Dave when I was in a junior in high school. He must have been in 9th grade at the time. "Choose a realistic event and describe it romantically, or the other way around." This was the assignment when I wrote The Experiment (one page). 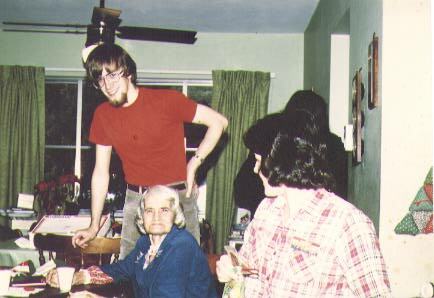 From about 1986 to 1989 I had a goatee. 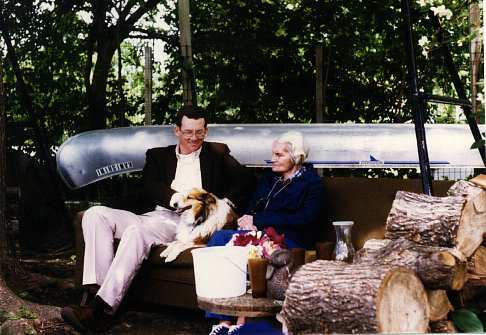 I did eventually get over this, until I met Sarah in 1998. 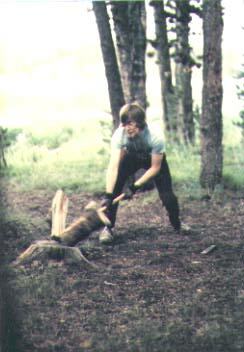 Still during the goatee era, I was occasionally observed wielding an axe. 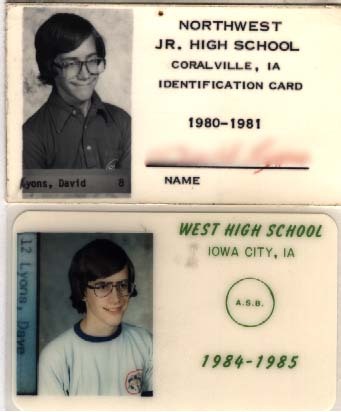 Here's what I looked like in Junior High and High School. 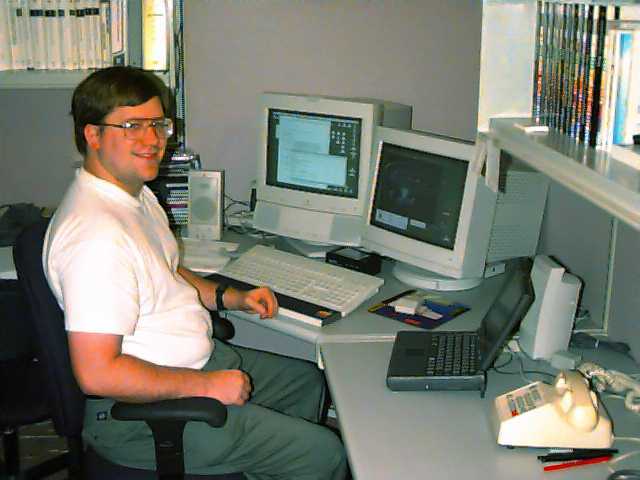 From 10th grade through college, I had a part-time job at CONDUIT Educational Software. When I left, they gave me this really cool T-shirt. 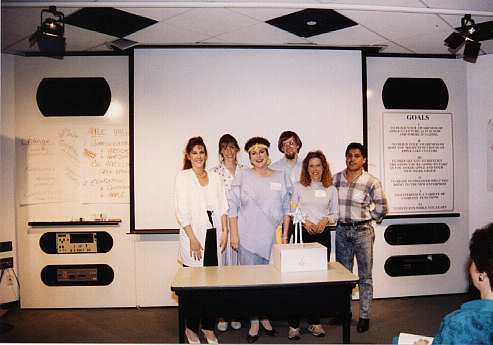 Orientation at Apple in April, 1989. 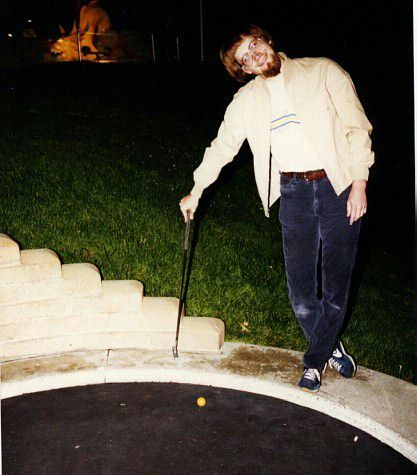 Here's me playing miniature golf at Golfland in 1989. This picture has the Sarah Seal of Approval. Here's what my computer bedroom looked like after the Loma Prieta earthquake (sometimes called the San Francisco earthquake) of October 17, 1989. 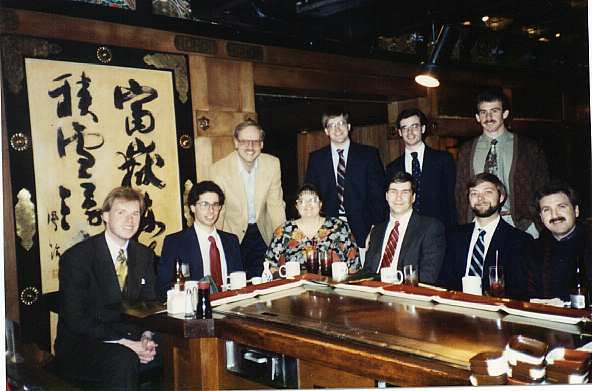 Apple II folks at Benihana in Cupertino in early 1992. 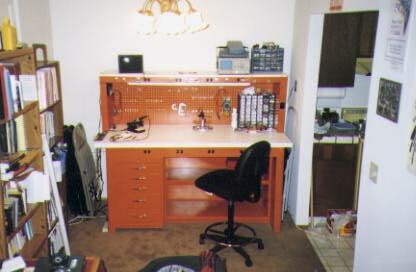 Here's my home office (from when I lived in Cupertino). At Andy and Michele's wedding in 1994, I got stuck holding the flowers. 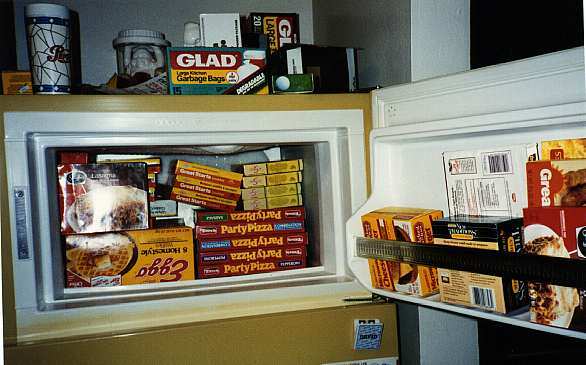 This is my idea of dining room furniture (1996). 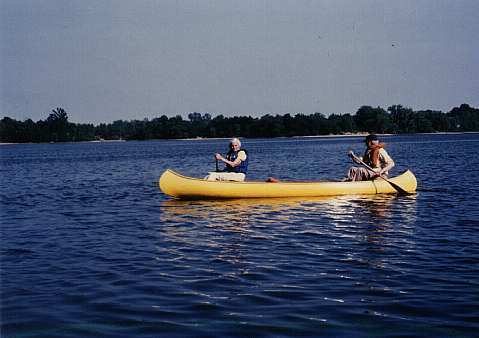 Poppo and Grandma visited us in February 2000. 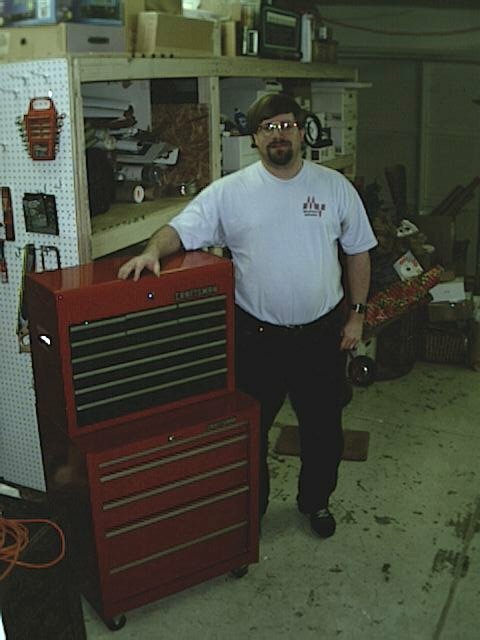 Among this year's birthday presents were cool Craftsman tool chests from Sears. 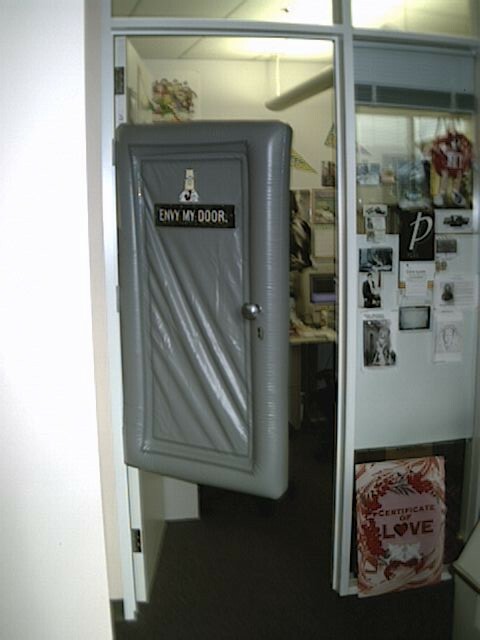 I have a Dilbert door at work. Sarah and Dave at Great America in 1998. You can see what Sarah is selling on eBay. She also has a wish list on Amazon.com. Lisa's pictures of our wedding. Andy's pictures of our wedding. 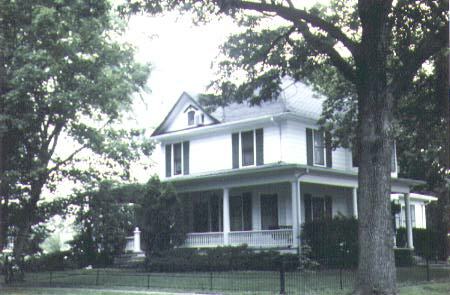 The year before the wedding, Sarah and I stayed at a bed and breakfast called The Country Rose Inn. 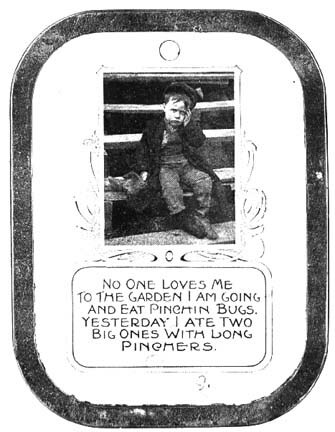 Nobody Loves Me (postcard from early 1900s?). 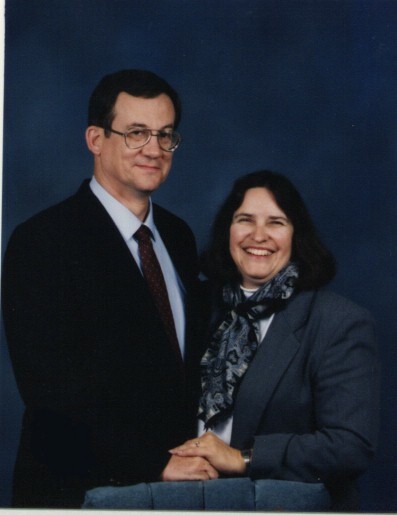 Mom and Dad in 1991. PatchBoy, homebrew audio/video matrix switcher. I rigged up a computer to display Caller ID on my Beta-Brite message board over my TV to announce incoming calls. (March 2002) ActiveWire-USB from AcitveWire, Inc. Interface USB to anything (16 bits of digital I/O). So far I have no specific plans for it, and have only proven that I can blink colored LEDs. Maybe I'll try to talk to the SAA5252 closed-caption chip that I was playing with a few years ago. Caller ID to Serial kit from ITU Technologies (formerly itutech.com...they seem to be out of business these days). I use mine to display caller ID on a message board. A Macintosh XClaim TV tuner box from ATI lets me get closed captions into Mac-readable form. I wrote some software to process the text further, in real time, to provide reasonable capitalization and better line breaks. I wish ATI would provide some documentation on how to get the rest of the data that's embedded in the video signal (Extended Data Service), but I have struck out. 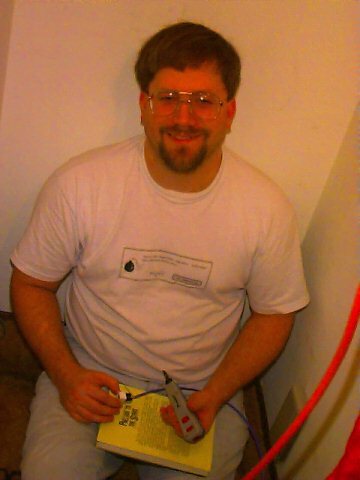 I bought a house in June, 1999 and have added phone jacks and Cat 5 network jacks both upstairs and downstairs. Home Tech's web pages and staff were very helpful. I had to crawl under the house as well as in the attic, open up drywall, and buy a 16"-long drill bit. 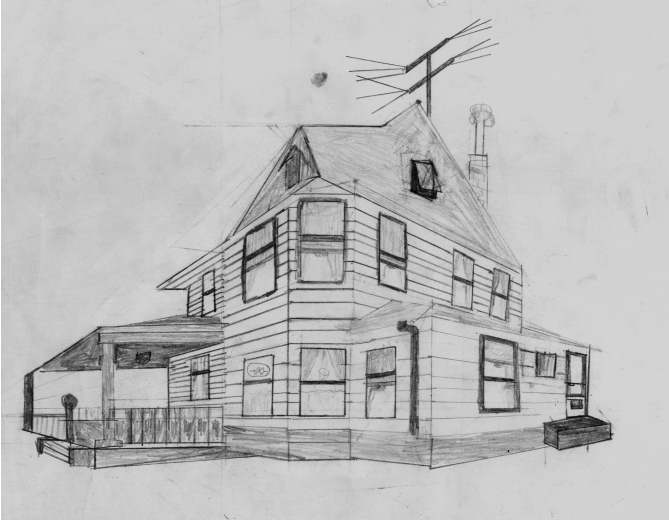 I didn't do a detailed write-up, but Andy McFadden wrote about his wiring project. I had Intro to Pascal from Douglas Jones. From time to time I see him posting to comp.risks. Finder 8.0, Finder 8.1, Finder 8.5, Finder 9.0, Finder 9.1, and Finder 9.1.1 (for CD burning), Finder 9.2. Finder for Mac OS X 10.0 through Finder 10.5, including Time Machine in 10.5. 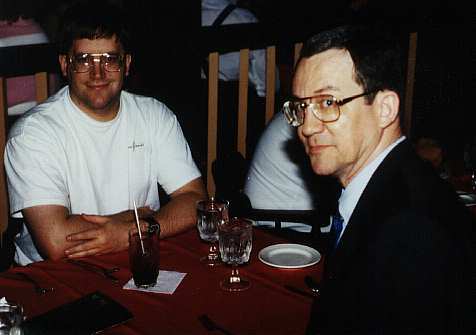 February and March 2002: I helped Rich Dreher with the firmware & software for his CFFA board: Compact Flash for Apple II. — The firmware presents the storage to the Apple II as one or more block devices, using the ProDOS and SmartPort conventions. 2006: I wrote most of the firmware for Rich Dreher's CFFA1 board for the Apple 1 and replicas. — This was a different sort of project. Instead of presenting the storage to a host operating system as a block device, it's a menu system (and small API) that implements simple file operations on ProDOS-formatted volumes. It supports a single level of subdirectories and reads/writes entire files at a time. A great Apple II resource is A2Central. 2004-present: Measure for Mac OS X. A unit-savvy calculator combined with a 3,000-item database of real-world numbers. 1986: DimCalc: calculate with physical units attached. The Chabot Space & Science Center (CSSC) in Oakland (I haven't been there yet). The Science Fiction TV (SFTV) page.